The Rue de Lyon collection is well crafted with quality maple solids, select hardwood detailing, and American cherry veneers, finished in a rich chocolate patina. This is perfect for any office…work or home. 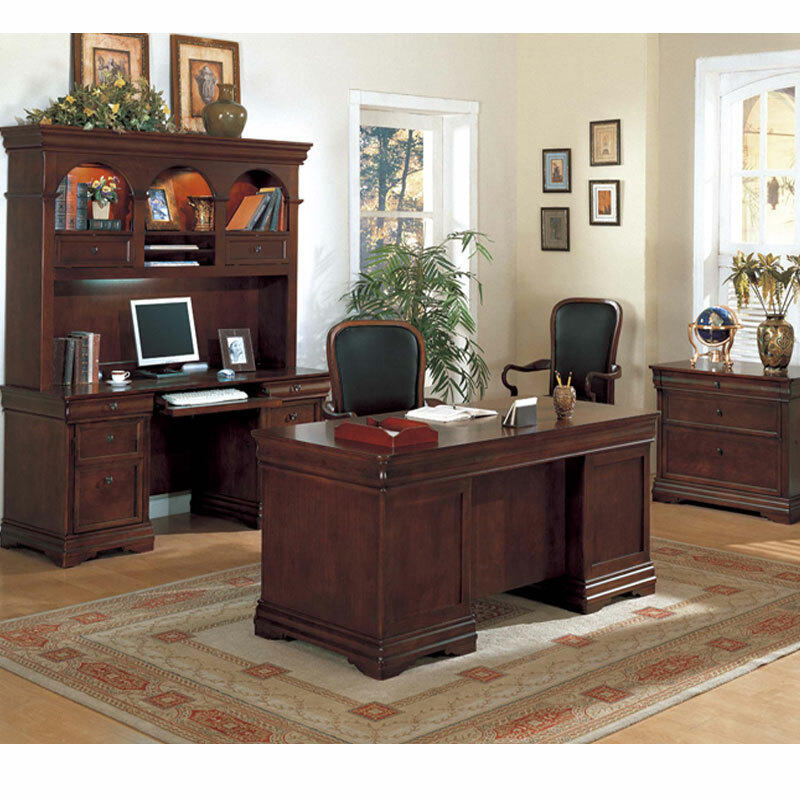 Center drop-front drawer with removable pencil tray can function as a lap drawer or a keyboard tray. Each pedastal features a felt lined drawer with pencil tray, utility drawer with adjustable wood dividers, and a fully extending file drawer.